Every Nigerian knows Linda Ikeji’s story, how she came up from nothing and became one of the richest young women in the country. Linda epitomizes hard work and persistence and shows that determination is the key to success. This used to be enough to make her an inspiring person, but it isn’t anymore. 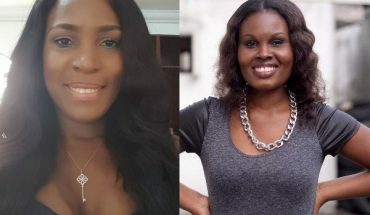 Linda Ikeji’s fame and wealth have increased in great proportions over the past five years, but she has wasted so many opportunities to make real impact that I wonder if her good fortune has taught her anything. The only thing Linda seems to have acquired with her position is money, possessions and a growing sense of vanity. The average Nigerian might think being rich is the be–all and end–all of life, but a person whose only boast is in money is as poor as poor can get. Why doesn’t Linda Ikeji have a degree in online journalism? Why does she insist on using that terrible blog theme despite having her own website? Why hasn’t Linda Ikeji improved? Linda why are you so afraid of growth? Why is Linda Ikeji not giving speeches around the world? Why doesn’t Linda Ikeji have any endorsement deals? Why is Linda not hosting any TV shows? Why isn’t Linda on radio? Why wasn’t Linda at the recent dinner with International Monetary Fund (IMF) boss, Christine Lagarde along with Genevieve Nnaji who she’s more famous than? Why does Linda Ikeji insist on making safe and passé fashion choices? Linda why are you still matching clothes and shoes in 2016? Why do you always wear the same hair? Why are you not killing it on every red carpet possible? Why don’t you attend events? Linda what are you so afraid of? Linda why are you still spending so much time blogging? Why can’t you pay others to do the work so you can move on to bigger and better things? I don’t know if anyone has told you yet, but there’s nothing special about that blog, it was just your vehicle to the top. You’re the one who’s special and you can transfer that specialness into other things. It’s time to jump out of that vehicle and make a real difference. Dear Linda Ikeji, you’re already one of the most disliked women in Nigeria, why the heck are you not milking it? You write about Kim Kardashian all the time but have learnt nothing from her. If people are going to dislike you anyway, you better give them a reason that pays you, one that doesn’t only involve your computer. Dear Linda, it’s also time to tone down on the vanity. You were worth something before the bags and the shoes, yes even before that house. Maybe it’s time to look within and find your true purpose, find meaning outside all the retail therapy that is just a sign of growing emptiness. You should know better than to lose your head over claims that your bag is fake. You should know better than to announce that you’re “too rich to buy fake” or say that you’re “laughing in your Banana Island mansion” or that your “bag is worth more than your haters’ cars.” That is so unbelievably shallow. Dear Linda Ikeji, you have lost almost all your goodwill, you do not need to be hated by everyone to know that you’re successful. You should be envied, resented even, but not downright detested. The people who hate you were created by the same God who blessed you. There’s too much negative energy around you. You need to check yourself. Dear Linda, you should go down in history as one of the most influential Nigerians in history, but will you? When your blog fades away, and I say when because it will, will you still mean anything, will you still be somebody? Dear Linda, you have so much power at your disposal. You have the power to influence minds and inspire generations, when are you going to start using it? When are you going to step out of the box you’ve built for yourself, when are you going to step out of your Banana Island box? I know that a lot of people who read this will say that I’m a “hater” and remind me that you’re smiling to the bank. Maybe some of them will ask me if I’ve eaten today, in fact I have not. But the truth must be told and as long as it is the truth, it doesn’t matter who the messenger is. Dear Linda Ikeji, stop wasting your opportunities and start growing. You’ve been on the same spot for too long and if you don’t innovate, you will fade away and quickly too. Dear Linda Ikeji, you used to be an inspiration, you used to encourage people to do great things, what happened to you?